The New Century Club originated in the Women’s Pavilion of the 1876 Centennial Exposition. The pavilion was built in response to women being refused independent exhibition space in the Main Exhibition Building. 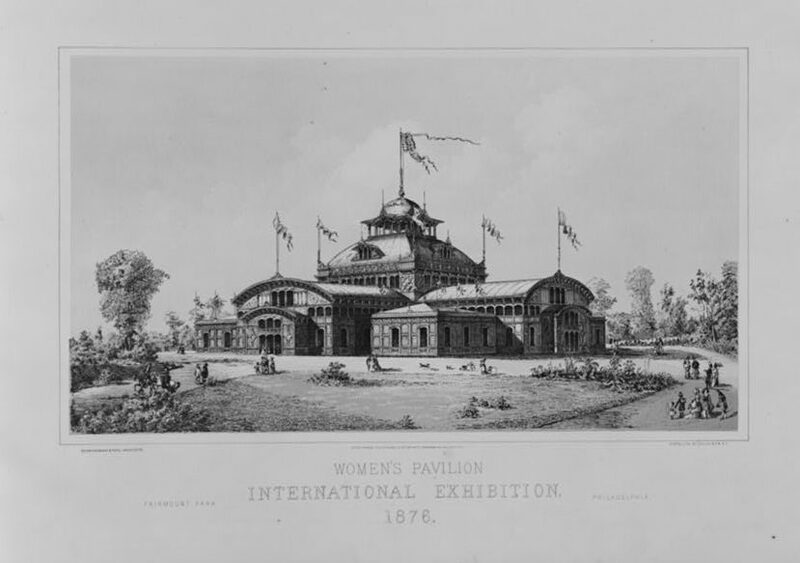 All exhibits showcased in the Women’s Pavilion were the work of women. One of the most popular attractions was a woman who operated a steam engine that powered several other exhibits, among them a printing press. This press printed copies of the Women’s Centennial Committee’s newsletter, The New Century for Women. In 1877 at the Exposition’s conclusion, a group of about forty women formed the New Century Club, a literary society for women. 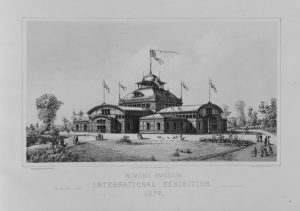 The pavilion, always intended to be a temporary structure, was dismantled shortly after the exposition ended. Posted by Lucy Davis on March 24, 2017 at 9:55 am. Bookmark the permalink. Follow any comments here with the RSS feed for this post. Trackbacks are closed, but you can post a comment. Actually the building was not dismantled shortly after the fair ended. There was some discussion of it being turned into a memorial for women’s rights and it was pulled from the initial auction. 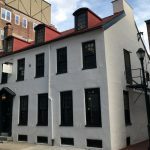 It seems to have been sold in 1877. I’m still tracing where it went.